What does life in all its fullness look like in Nepal’s least developed district? 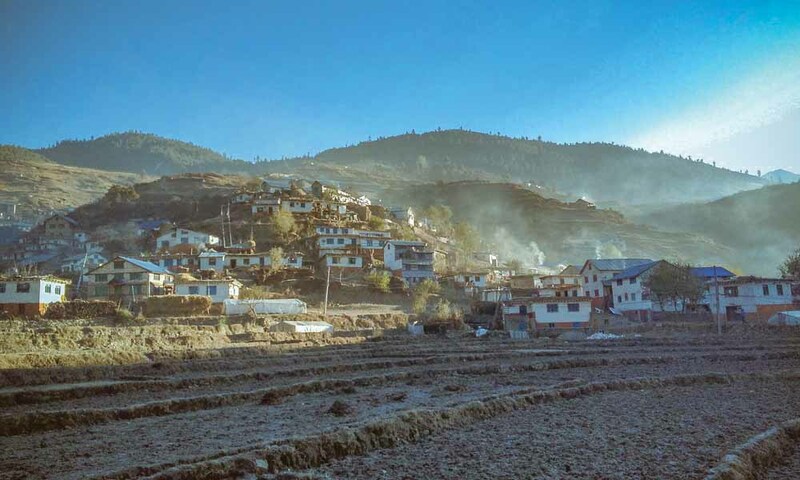 Over the last three decades, INF’s community work has steadily and faithfully expanded westward from Pokhara, both along the southern plains, and into the high hills. The heart of this work has been consistent – to serve the physical and spiritual needs of the poorest and most marginalised people and communities, helping them to experience life in all its fullness. Even in Nepal the Karnali zone, in the far north west of Nepal, is considered remote and dangerous, with disturbingly high levels of child malnutrition, and mother and child mortality; and inadequate access to healthcare and education. 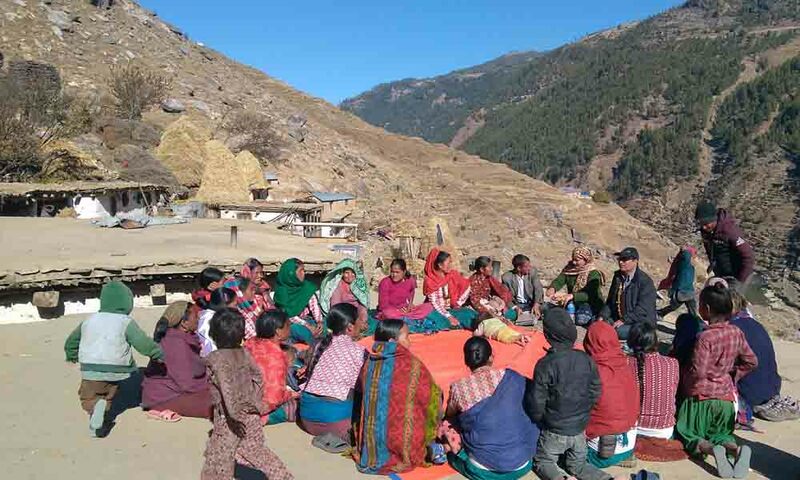 INF has worked in Karnali since 1978, first running leprosy and TB clinic in Jumla, before beginning its community health and development work in the surrounding districts of Mugu, Bajura, and now Kalikot. INF doesn’t deliver ‘one-size-fits-all’ solutions to predetermined problems. 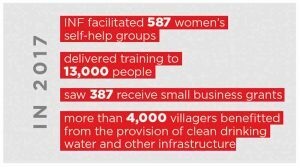 Instead, INF helps communities to develop the skills needed to identify solutions to the problems they face. 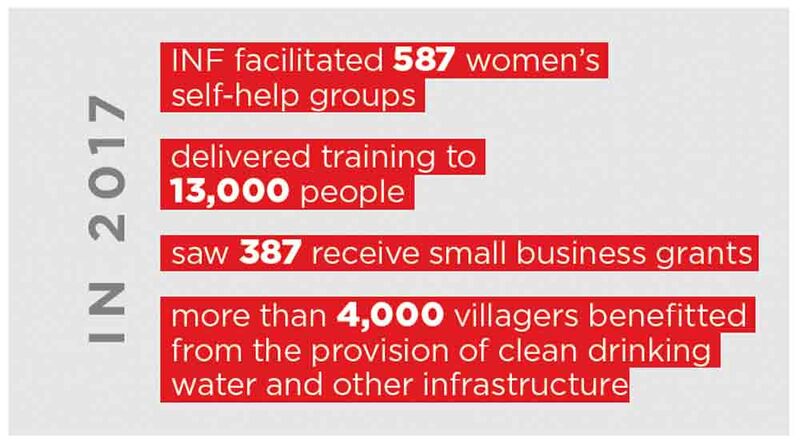 Last year INF facilitated 587 women’s self-help groups, delivered training to 13,000 people, saw 387 people receive small business grants, and ensured more than 4,000 villagers benefitted from the provision of clean drinking water and other infrastructure. The flow-on effects of this work are life-changing. They are heard through individual testimonies; seen by children attending school and people with disabilities being able to walk and work for the first time and in mothers growing vegetables to feed their families or starting successful small businesses. But it’s also bigger than seeing a change in any one individual’s life. There is evidence of communities coming together and services improving whether through the installation of drinking water systems, community clean-ups and rubbish disposal, roads being repaired and health posts providing maternity care. This is leading to dramatic change. As many as 40% of children used to die before their fifth birthday, often from preventable causes like malnutrition or diarrhoea. INF was delighted to hear recently of a Jumla community in which no children had died in the previous year – a first for that community. The final aspect of INF’s is more intangible but vital in terms of sustainability. It can be seen in the inclusion of people with disabilities, and of women being able to express their ideas and be listened to in a way they never have before. This is the beginning of life in all its fullness. INF does not plant churches, and yet our work has helped to create an environment where the church can flourish. INF community facilitators are brilliant at including and encouraging those on the margins of society – the poorest and most disadvantaged, the widows and people with disability, helping them to see that they have value and that their voice is important. The realisation that all people have value over and above what they can contribute to society is a uniquely Christian view. In some ways, life in Karnali has changed beyond all recognition over the last 40 years. Livelihoods in this area are being threatened by a climate that is changing rapidly, and communities will need help in adapting. New roads make access to healthcare and markets easier, but also bring accidents, and increase issues related to alcohol and people trafficking. Only ten years ago, it took two weeks to send a computer file between INF’s offices in Pokhara and Jumla, a journey which involved long bus and plane trips. Now the INF team in Australia can hold video calls with counterparts in Jumla, and much of the region is reached by mobile phone. Life in Karnali is changing rapidly. New roads, micro-hydro electricity and the extension of phone networks create new opportunities as well as new challenges. We are currently reviewing our community work to ensure that we remain relevant and effective in this rapidly changing world. Your partnership in this work through prayer and giving will be vital as we continue to serve some of the poorest communities in this region for years to come.